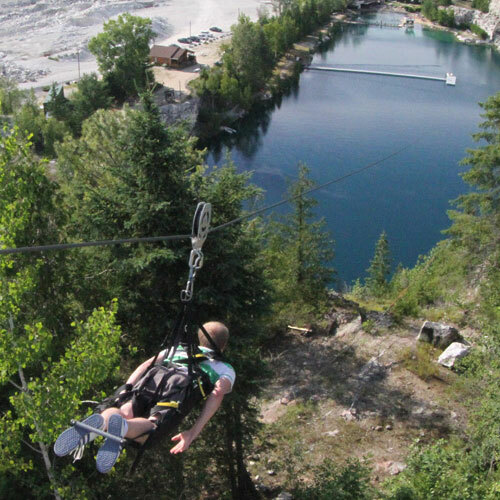 Like a zipline on steroids, a typical RIPRIDE starts at a spine-chilling 200 ft (62m) above crystal-clear waters and is 1000 ft (300m) long! This traditional form of this ride called a Flying Fox or Zipline, has been redesigned to go fast - very fast! 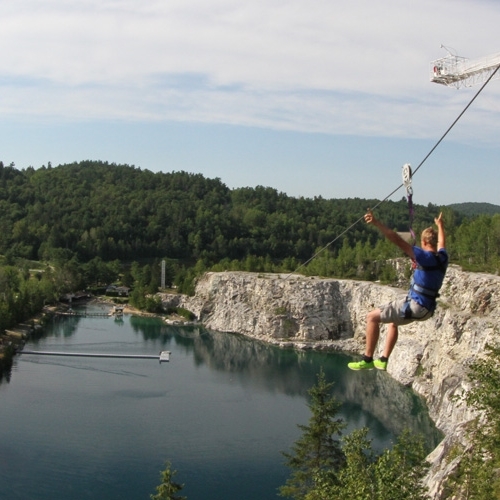 The top speed can be as fast as a 350 ft. bungee jump! The floor you are standing on, suddenly drops below your feet and you begin the terrifying descent. Suspended from the cable like Superman, you place your arms in front of you to break the wind and you actually feel like you are flying. The sound of wind blowing past your ears increases as you accelerate faster and faster. Just before you think its too late to stop before you approach the bottom tower, the automatic braking system brings you to a sudden, but smooth halt.